Your clients and customers are watching a LOT of social media video. Both Snapchat and Facebook have both exceeded 8 billion video views per day. YouTube has over a billion users with 1 billion hours watched daily. There are over 600 million Instagrammers. Understanding the social media video best practices for the variety of platforms can be intimidating. But, if your brand is not creating and promoting video on social media channels, then you are missing a huge opportunity. Why Should You Consider Using Social Media Video in Your Marketing? It doesn’t matter what your company does, or what you are selling, if you don’t have a video marketing strategy for the most prominent social media platforms, you are going to fall behind competitors that do. There are some compelling reasons to pursue a video marketing strategy. 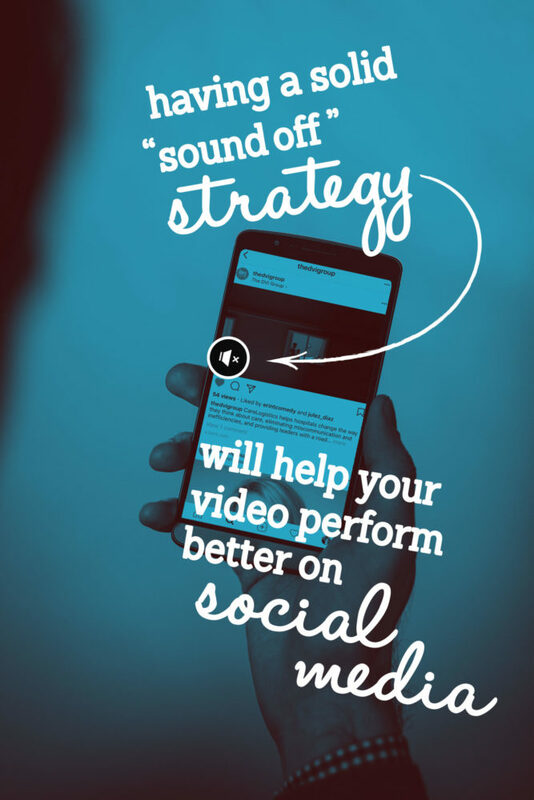 Social video can deliver impressive ROI. Videos are 6X more likely to be retweeted than photos and 3X more likely than GIFs (Twitter). Snapchat users watch 10 billion videos per day (Digital Trends). Businesses that use video grow company revenue 49% faster year-over-year than organizations that do not. (Aberdeen Group). 70% of marketers claim video generates more conversions than any other type of content (Vidyard). 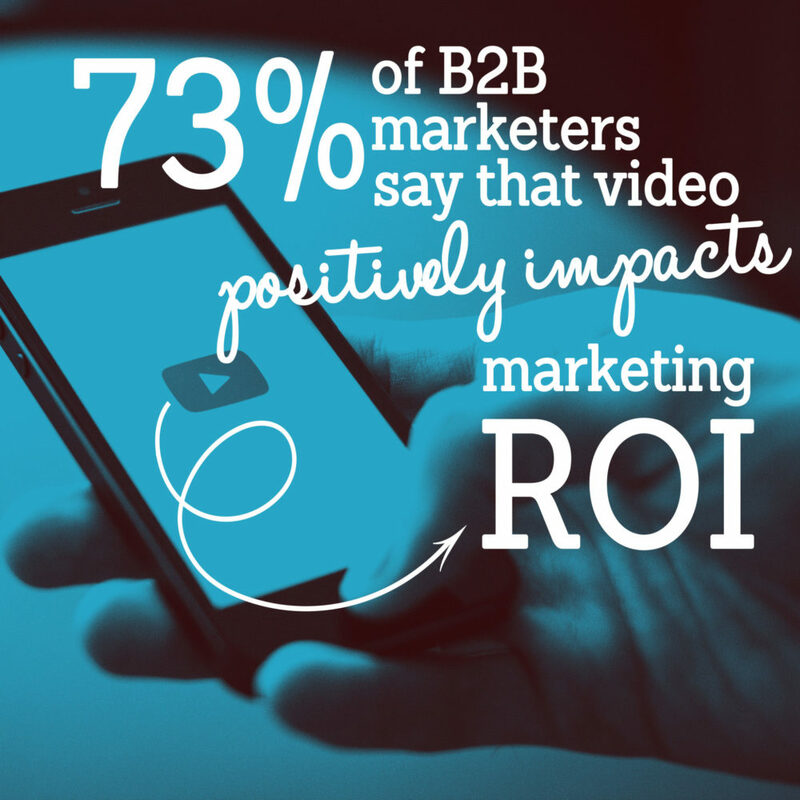 73 percent of B2B marketers say that video positively impacts marketing ROI (Buffer App Survey). YouTube has over a billion users (that’s roughly one third of the internet). Facebook reports surpassing 2 billion monthly users (Facebook). Native videos on Twitter drive 2.5X replies, 2.8X retweets, and 1.9X favorites than non-native video. (Twitter). Social media videos can also deliver on several marketing objectives. Before jumping headfirst into the world of social media video, consider the following characteristics that can affect how successful a video is on social media. Keep in mind that each social media platform is different, and video content needs to be optimized for where it will be shared. For the purposes of this article, we are mainly addressing social media video best practices for creative and not on-the-fly live video, which is a different animal altogether. 1. 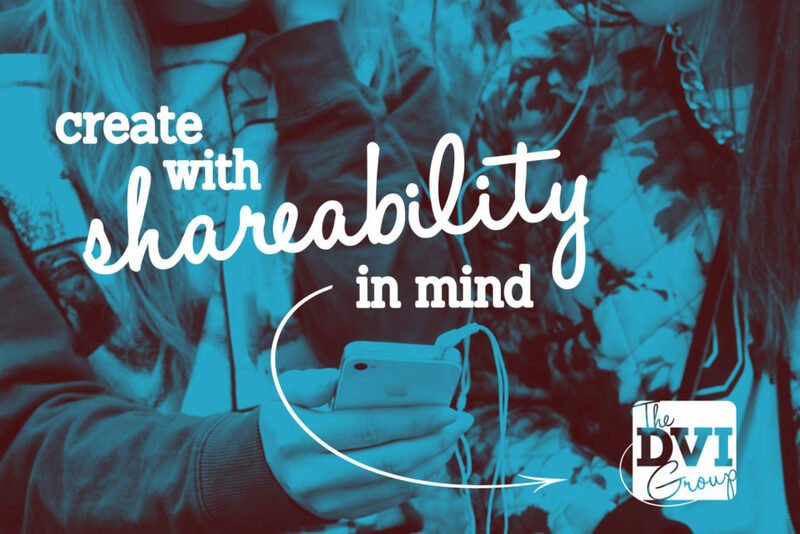 Create with shareability in mind. Emotions lead to sharing. Create a video that will give viewers an emotional reaction – joy, laughter, anger, sadness, or a call to action. Most viral videos evoke a feeling of happiness, surprise or admiration. Tell a concise and cohesive story. Creating a storytelling arc from the first frame will help capture the attention of your audience and keep them interested. Vidyard found that you typically lose the majority of your audience within the first 30 seconds or less. Twitter’s study on video found an early story arc means the video is 58% more likely to be viewed past three seconds. Feature your product or brand message early in the video. 4. Know the Goals for Your Social Video. Define your goals for each video and determine how you are going to measure them. 5. Know the best Aspect Ratio. Social video should generally be optimized for mobile first. 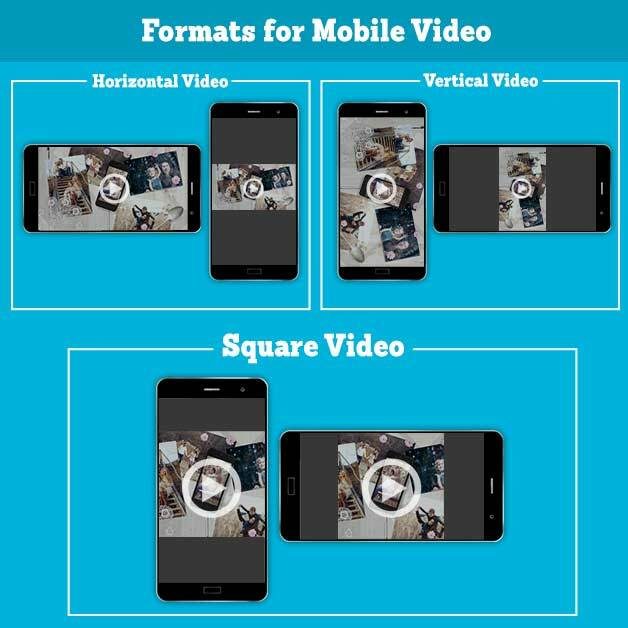 This means generally speaking, square or vertical video will perform best on social platforms, but not always. 6. Sound or No Sound? Some social media platforms will display videos to users with no sound by default, or they allow users to set this preference. Platforms where users are scrolling a feed are where users tend to prefer muted video. We can all probably relate to scrolling a social media feed in a boring meeting. In this situation, the last thing you want is for a video to start blasting out of your phone. Create video with this in mind and make sure the story works with no sound when appropriate. 7. Choose the Best Length for Your Video. Shorter is usually better, but the best length of video can vary by platform (more detail on this below). 8. Don’t forget to optimize for search. Depending on the platform, using hashtags and keywords can help get your video in front of more users. When creating video content for social media, it’s important to produce the right video for each platform. Because each social platform has a unique audience and different strengths and weaknesses, your videos need to be optimized for each different channel. A video that works on Twitter may need some serious editing before it can work on Facebook. You may find you need an entirely different approach for the video on Instagram or Snapchat. Try creating a mission statement for each social media video platform. 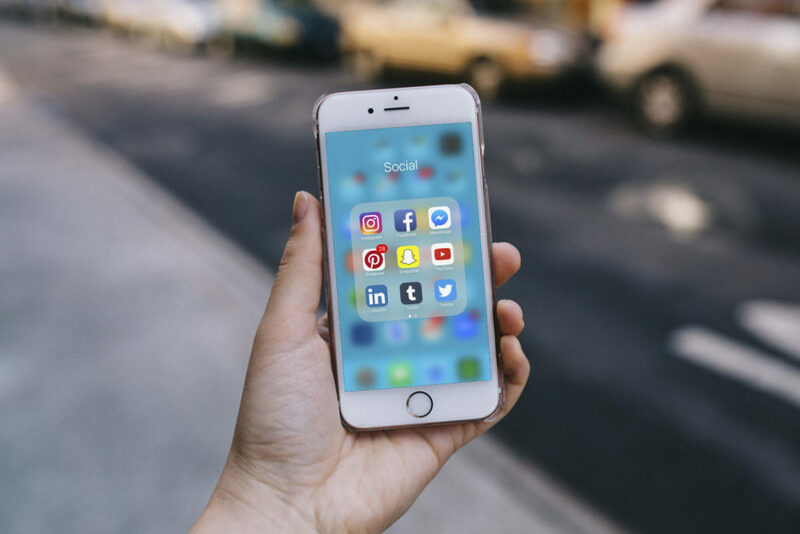 Doing this for each social platform can help focus your video marketing efforts allowing you to create more shareable and effective social video. To help you, we’ve outlined social media video best practices and considerations on the major social media platforms. As a platform, Facebook is one of the most personal. Facebook allows you to very narrowly target users when promoting video posts. People pay attention to content that interests them in the Facebook News Feed. So, when creating video for Facebook, consider making different versions of the same video (or completely different videos) for each unique audience segment. Upload your video directly to Facebook instead of sharing from another platform like Youtube or Vimeo. A Quintly study analyzed 167,000 Facebook profiles and over 6 millions Facebook posts in the period from July to December 2016 and showed a 1055% higher share rate and 186% higher interaction rate for Facebook native videos. Linked videos may appear smaller than videos native to Facebook, and they may require an extra click to watch. Facebook video is primarily consumed while scrolling a News Feed which means you need to catch the eye of the scroller. Include your product or brand message early in the video. Facebook announced in February 2017 that video will soon play with sound by default unless you have disabled it in settings or your phone is set to silent. Prior to this, multiple publishers reported that up to 85% of Facebook video is watched without sound (Digiday). Even though Facebook would love for users to watch video with sound, right now it’s not how users consume video on Facebook. The “no sound” statistic is likely to stay high for a while. Facebook recommends that we design video for “sound off”, but to be sure to “delight with sound on“. Always enable captions on Facebook video to make sure your message is delivered even when muted. This video we created for Kodak Moments works perfectly with no sound and is one of their best performing Facebook videos. Facebook recommends video content be less than 15 seconds. On Facebook, use vertical video (full portrait) whenever possible. Facebook tests showed that users were more likely to watch vertical videos for longer and with the sound on. On mobile devices, more of the video is visible when in portrait, which is the way most people use the Facebook app. From a marketing perspective, one of Facebook video’s most effective features is the ability to add a call-to-action or CTA to your video. Take advantage of this feature to convert at a higher rate. When posting your video on Facebook, also include a description that contains hashtags, some context and any additional calls to action. Tagging your video on Facebook with related hashtags can help users discover your content even if they don’t follow you on Facebook. The Twitter Feed is a scrolling environment like the Facebook feed which means it shares many of the same best practices, like communicating the important part of your message in the first 15 seconds and using visuals to grab attention and “stop the scroll’. However, Twitter is a largely open feed experience vs. the private Facebook feed, so it generally feels more professional and is ideal for B2B marketing. 93% of video views on Twitter are via mobile devices. This means that almost everyone watches Twitter videos through a smartphone, which makes it important to optimize your video content for mobile. The study found that shorter videos of 15 seconds or less are more likely than videos of 30 seconds to drive memory encoding. Also, a “sound off” strategy works. The first 3 seconds of Twitter video did not need audio to capture the user’s attention and drive engagement. The study found that personal relevance and memory encoding were at the same level whether sound was on or off. But when someone did watch the whole video, having sound created an uptick in all the key metrics. They also found that dialogue has more of an impact than music. For videos on Twitter, captioning or subtitling must be included visually in the video. Consider this when creating a “no sound” strategy for Twitter videos. Twitter launched call to action buttons for promoted tweets in 2016, but unlike Facebook, Twitter lacks the ability to add a call to action directly to your video. Try to include a call to action in the accompanying tweet instead. Twitter hashtags are a powerful tool that allows Twitter users to track what anyone is tweeting about a particular topic or event. Always tag your Twitter video with a couple of relevant hashtags which will help your video reach people interested in the topic that are not already following you. These days, an Instagram ad strategy has to include video. 1 in 4 Instagram ads are in a video format, so you can’t just rely on organic content to do all the work. Instagram video ads are an increasingly popular opportunity for brands to connect. Be sure to select a captivating video thumbnail image and title when posting an Instagram video. Users will briefly see the thumbnail in the feed before the video autoplays. However, if they are viewing your profile, they will ONLY see the thumbnail. Make sure the thumbnail is compelling enough to invite the user to click and watch. This Ben and Jerry’s video is perfect for Instagram, short and sweet front-facing product shot with a playful tone. Use brand colors, themes and imagery to help people connect the video to your brand. Instagram recommends using front-facing lifestyle or product shots, or scenes with action or vivid imagery to spark interest. Instagram was the first social platform to initiate silent, auto-playing video. Instagram videos auto-play with no sound, so make certain your videos tell the story visually. Add captions, logos and product graphics to get your message across more efficiently. Since users have to tap the video for audio to play, any audio before the person taps won’t be heard. Consider starting your video with visuals that don’t need audio. When (and if) the user taps to hear the audio, they won’t have missed something important. On Instagram, dialogue-based videos don’t drive as much engagement as more visually stimulating videos do. Keep this in mind and design your video to target the silent autoplay! Instagram now allows other aspect ratios besides square (Facebook, 2017). Hashtags and location tags make it easier for Instagram users to find your content if they aren’t already following you. Add hashtags that relate to the content in your post and that are popular and have the most reach. If Millennials are part of your target audience, you should definitely be on Snapchat. Comscore reports SnapChat has a market penetration of nearly 70% in the 18-24 year old age bracket. Snapchat isn’t about promoting a faceless brand. The content that brands post on Snapchat shouldn’t be overly polished. Snapchat is about showing your brand’s personality and connecting on a human level. The demographic you’re most likely reaching, 18 to 24-year-olds, loves personal stories. Instead of sharing gorgeous product photography as you might on Instagram or Facebook, you should highlight personal and spontaneous moments. Too much scripting can ruin the spontaneous vibe of Snapchat and it can make your presence feel like advertising. Snapchat stories are one of the avenues to reach your audience via video on Snapchat. Video on Snapchat stories can range from impromptu snaps to a planned campaign. Sour Patch Kids quickly gained popularity by pulling off a variety of harmless public pranks, as well as launching “outfit contests” to help build buzz around the brand. Their Snapchat stories in the campaign featured Blue Kid, who is a life-sized Sour Patch Kid running around in the real world. The original campaign netted Sour Patch Kids 120,000 new Snapchat followers. Extend the mileage of your SnapChat Stories by repurposing them to be uploaded to other platforms like Facebook or Youtube. Previously, to run Snap Ads (Snapchat’s full-screen video ads), you would need to work with one of their ads partners. Now you can create Snap Ads through their new self-service ad tool, Snapchat Ad Manager. Snap Ads’ swipe up rate (which is their version of clickthrough rate) is 5X higher than the average clickthrough rate on other social media ads. T-Mobile was one of the first brands to advertise on Snapchat Discover. They developed a campaign specifically for Snapchat featuring campy 10-second long mock “live reports” poking fun at various clichés. In each of the spots, something important to the subject disappeared suddenly. Working with the T-Mobile slogan, “Don’t lose what you don’t use,” it helped promote the company’s “Data Stash” promotion for rollover data. Discoverability can be a challenge for brands on Snapchat. A user needs an exact username to search for a brand. Snapcodes are useful tools for helping Snapchatters find your brand. Snapcodes work in a similar way to QR Codes, but the Snapchat app processes them delivering users directly to your Snapchat to follow you. Also, try promoting your Snapchat videos on other social platforms including calls to action that include your Snapchat user name or SnapCode. Youtube is the 2nd largest search engine (after Google) and boasts over a billion users (that’s one third of the internet). For you to get the most out of YouTube, Google recommends creating video content that builds a relationship with users beyond a traditional advertiser-customer relationship. Promoting video content that contains only advertising will likely make it harder to drive increased viewer engagement with the brand. The fact that Youtube is in essence a search engine makes it a little different from other social media platforms. Users go to Youtube expressly to watch video, so it’s a destination for video. This difference is supported by the metrics. The average session time for a YouTube user is 40 minutes and 96% of users watch Youtube video with the sound on. YouTube is a great forum to reach the older millennial market, ages 25 to 34, but its older audiences are also growing significantly all the time. Google calls attention to the fact that YouTube ads typically play with sound as one of the most important benefits of its platform. In general, since users are at YouTube because the want to watch video, they usually have the sound turned up, so design both organic video and ads with that in mind. This installation video for Mosquito Curtains directly answers a question consumers were asking making it perfect educational content for YouTube. Users come to YouTube to learn, watch and be entertained, Youtube recommends creating videos that feature original content. Since you are the expert on your product, service or industry, consider creating video content that teaches and engages the audience on your expertise. Because Youtube is synonymous with video, it’s ideal to function as a central repository for all of your business video, no matter what it is – ads, customer support, video from other social channels and so on. Create playlists to help users find and view related video. As a search engine at heart, Youtube makes it easy for users to discover your videos via text in descriptions, tags and hashtags. YouTube uses 16:9 aspect ratio players. If you’re uploading a non-16:9 file, it will be processed and displayed with either black bars on the left and right (pillar boxes) or black bars at the top and bottom (letter boxes) to make a 16:9 ratio in the player. We know that’s a lot of info, so we’ve also created a table to make at-a-glance comparison easier. Autoplay Autoplay with sound is default, but it can be turned off in settings. Autoplay with no sound is default. Autoplay with no sound is default. Autoplay with sound, but it respects your phone settings if on silent. Autoplay with sound is default. People who watch your Page's video with sound turned off will automatically see captions. Longform video: Minimum of 15 seconds Varies by objective, but Youtube recommends under 2 minutes as a benchmark. Aspect Ratio Full portrait (9:16 is recommended). (But also make sure the most important parts of your video also display within the 2:3 aspect ratio.) 1:2.39 - 2.39:1 range (inclusive). (Twitter) Instagram supports 1:91-4:5 for all feed videos across all objectives. Snap Ads are full-screen portrait. Call to Action buttons can be added to tweets, but not directly to video. Yes Select from predetermined calls to action. No calls to action in the video visual content. However, Voiceover call to action is permitted. (SnapChat) Yes. As the leader of our creative team and the head 2D animator / motion graphics artist, Stuart prides himself on making every project look as good as it possibly can. No shortcuts, no excuses - just detailed planning, exceptional design, and polished results.